Cátia completed a first Degree in Psychology at Évora University, having specialized in Clinical Psychology. She is currently at the latest stages of Psychodynamic Psychotherapy training at ‘Sociedade Portuguesa de Psicologia Clínica’. 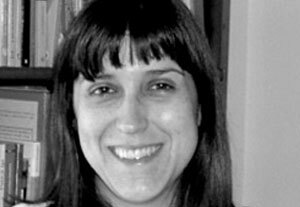 Cátia is a full member of the Order of Portuguese Psychologists and a certified trainer. Her professional experience is wide, having collaborated with project NOP ‘New Parental Oportunities’ promoted by ‘Questão de Equilíbrio’ and commissioned by Calouste Gulbenkian Foundation under a Program for Children and Young People at Risk. She worked as a Clinical Psychologist in a Children and Adolescent Centre and in a Centre for Family Support and Parental Counselling. Additionally, she has worked in a Therapeutic Community for Drug Addiction in Castro Verde and at several Prison Centers in central and southern Portugal. Cátia took part in a National Research Project about Health and Psychological Well Being undertaken by the Faculty of Medical Sciences of ‘Universidade Nova de Lisboa’ and ‘Universidade Católica Portuguesa’, under the coordination of the World Health Organization (WHO) and the University of Harvard. She keeps a private practice in Lisbon.